The first episode of Photography Tips & Tricks is now online! It features Scott Kelby, RC Concepcion, and special guest Bill Fortney sharing tips on using Auto ISO, bracketing, and setting up a remote camera in places to which you don’t have access. This is our brand new show for photographers, which replaces D-Town TV. Since D-Town started off as a Nikon show, the D in D-Town stood for the camera model numbers (D3100, D7000, D600, etc). But we decided to finally change things up and go with a name that was more obvious to everyone. Plus, the show focuses on quick tips and a shorter overall length so you can get great info quickly and get back to shooting! You can subscribe on iTunes right here. Hope you all enjoy it! Moose explains camera gear, shooting techniques, knowing about the wildlife in your area, setting up your shooting area, and even using flash! You can check out this class, Shooting Fall Landscapes, and all of his other classes at KelbyTraining.com. And, leave a comment for your chance to win a 1-Month Subscription! We’re just over a week away from the Fifth Annual Scott Kelby Worldwide Photo Walk! There are over 1,300 walks taking place around the world with over 26,000 people signed up to be part of this exciting event. If you haven’t signed up yet, you can check to see if there is a walk happening in your area right here. And if you want to help spread the word, you can download web banners to put on your blog (or wherever) right here! Glyn Dewis and Calvin Hollywood are teaming up to do a 5 day workshop just outside of Heidelburg, Germany January 26-30, 2013 called the High5 Workshop! They’ll be going through 2 days of studio and location shoots, retouching, marketing and networking. Knowing these two guys, not only will it be incredibly informative, but quite exciting as well! Light Stories: Writings on Photography & Inspiration is a brand-new FREE eBook by Nicole S. Young featuring some of her most inspirational work on her blog, NicolesyBlog.com. The eBook consists of ten articles posted over the past three years on inspiration, life and photography. This special eBook is Nicole's sixth book, and it's also her first published through Nicolesy, Inc. You can get more info on this book, and Nicole’s other books, at NicolesyBlog.com. That’s it for today. Have a great Thursday! It’s Free (and cheap) Stuff Thursday! Previous PostIt’s Guest Blog Wednesday featuring Brian Smith! Next PostThe new issue of “Light it” magazine (the studio lighting and hot-shoe flash magazine) is here! Nice news the workshop in Heidelberg!! Gotta program myself! Whoa, I won? I was just at the seminar here in LA on 10/3 (yesterday)! I bought the ticket earlier knowing that I was going anyway. Great seminar by Scott Kelby, I learned a great deal, and the workbook is really great! Hey Steven – I’ll double check with customer service, but I think you should have gotten a refund on Tuesday. Glad you enjoyed it! I would love to go to see the Lightroom 4 seminar in Toronto with Matt K !! Matt is coming to Toronto? I would love to go and see him. Great instructor. Totally awesome. Have a great Thursday! To bad for D Town. Really enjoyed that show. I’m excited to be at the Lansing Live seminar on 10/12… already packed to go… whoohoo! I’d love a 1-month subscription, please! Thank you! Looking forward to Photography Tips and Tricks! A 1-month subscription would be awesome! A one month subscription to Kelby Training would be great. Yea, Scott’s coming back to DC! weee, already subscribed to the podcast… 1 month KT here i come! Just saw MK in DC, looks like I’ll get to see Scott, too! Always enjoy reading Scott’s blog. Have you guys ever considered the New Orleans area market for any of your live seminars? Would like the a month Kelby subscription! >chance to win a 1-Month Subscription! 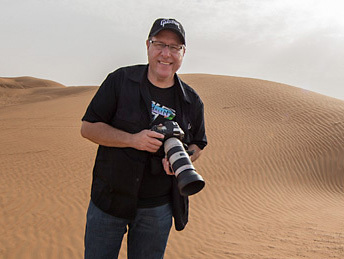 I would love a month with kelbytrayning. Would love to see McNally in Lansing. I would love to see Moose’s newest class and a free month from Kelby Training would be just the best! Thanks for the opportunity. Verena, Kelby Training is the best anywhere with 1000’s of training classes. I’ve been a subscriber for years and can’t count how many times I’ve referred back to a Lightroom class or Joe McNally lighting technique! I couldn’t imagine not having it! I need some Kelby Training… More training, more training, more training! Love the new show! And LOVE free stuff Thursday! Kelby training rocks! A month would be awesome. Moose’s class and a month of Kelby Training! Like! very much. Thanks a lot for sharing with us. Would love a free month of kelby tranining! great tips and tricks. Thanks for sharing good method.